Body Contouring – Despite healthy eating, exercise and weight loss, most people still find that there are certain parts of the body that they don’t like and these areas seem resistant to change. The problem is worsened with age when fat deposition occurs in unwanted areas and skin laxity also adds to the effect. Bulges appear at the waist, thighs, under the arms and in the jowls and then the dreaded cellulite also develops. Finally we have a real solution to offer our clients – the 3D Lipo device, an innovative and revolutionary machine combining several technologies for the very best results. It is perfectly safe, does not involve injections or surgery and is not even painful. It can melt away fat and cellulite as well as tighten skin and improve body shape to give you the figure you always wanted! The 3 dimensional approach to body sculpting, fat loss, skin tightening and cellulite reduction. Anywhere where excessive fat, cellulite or skin laxity is a problem. The areas usually treated are the abdomen, thighs, buttocks, arms, under the chin and face. We only recommend treating one area at a time and only once per week. Ultrasound cavitation fat reduction: Low frequency ultrasound produces a strong wave of pressure that specifically targets fat cell membranes. Under the influence of ultrasound, the molecules in the fat cell membrane vibrate and disintegrate resulting in the death of the fat cell and the fat inside the cell being removed by the body resulting in a permanent fat loss. Radiofrequency skin tightening: Focused fractional RF is the 3rd generation of RF technology, utilising three electrodes (Tripolar) to deliver the RF energy under the skin. This energy is controlled and limited to the treatment area and targets collagen fibres, leading to contraction and skin tightening and also to subcutaneous fat cells resulting in fat destruction. Key advantages of this technology are high treatment efficacy, it is more comfortable as less energy is required, shorter treatment times and a variable depth of penetration. 3D Dermology: Vacuum skin rolling technology incorporates the basic principles of increased lymphatic drainage and mechanical breakdown of fibrous bonds within cellulite. Treatment results in reduction in the appearance of cellulite, improved lymphatic drainage, increased circulation and an enhanced body contour. During your course of treatment, a combination of therapies will be performed to deliver energy into the target areas. Each therapy creates a different but complementary effect that breaks up fatty tissue and cellulite, literally melting it away and tightening loose skin. The unwanted fat is then flushed out of the body via the lymphatic system making downtime and recovery a thing of the past. As well as destroying fat cells, 3D Lipo also increases blood flow which helps drain the fatty deposits and toxins, stimulates new collagen growth and improves the skin texture. The technologies of 3D Lipo are well established and have an excellent safety record. We do not recommend treatment if you have a pacemaker or a metal implant near the site where you are having treatment. We also do not treat patients who are pregnant, breast-feeding or have significant medical conditions (such as renal failure or disorders of the lymphatic system) all of which will be discussed during your free, initial consultation. 3D Lipo is non-invasive and pain free, it is best described as feeling like a warm massage. There can be an uncomfortable tingling of the skin but this can be reduced during treatment if it is painful. Sometimes a mild tingling and warmth can persist for several hours after treatment. After treatment, the area may be slightly reddened and warm but this will settle quickly. There is occasionally some aching in the tissues after treatment and very rarely, the skin may get slightly burnt. Bruising may occur following 3D Dermology due to the vacuum applied. Apart from this, the procedure has virtually no side-effects. We do advise drinking a litre of water before treatment to maintain good hydration and to increase fluid intake over the next few days to aid elimination of fat. 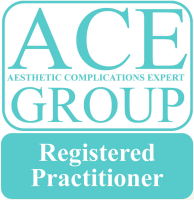 Often people notice immediate results – skin tightening and a reduction in circumference and visible fatty collections. More commonly, the best results are seen after a course of 8 treatments spaced a week apart. You can resume your normal activities straight away following treatment. Although the fat loss achieved using the 3D Lipo device is permanent, fatty tissue and cellulite may re-develop over time and we recommend a healthy lifestyle, diet and exercise to maintain these effects. A maintenance programme with 3D Lipo will also help to ensure the results will remain. 3D Lipo combines different medical energies for lipolysis and skin tightening – Ultrasound cavitation, Fractional radio-frequency and Dermology. Each treatment creates a different but complementary effect that breaks up fatty tissue and cellulite and helps to tighten skin. After treatment, the area may be slightly reddened and warm but this will settle quickly. There is occasionally mild tingling, warmth and aching that can persist for several hours after treatment. Occasionally a rash may develop over the treated area which may last several days. Very rarely, the skin may get slightly burnt. The procedure is extremely safe and side-effects are rare. 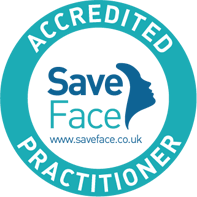 Sometimes people notice immediate results – skin tightening and a reduction in circumference and visible fatty collections. More commonly, the best results are seen after a course of 6-8 treatments at least a week apart. You can resume your normal activities straight away following treatment. Most people will achieve a noticeable and satisfying improvement however some people do not despite a course of treatments. Although the fat loss achieved using the 3D Lipo device is permanent, of course, fatty tissue and cellulite may reappear over time and we recommend a healthy lifestyle, diet and exercise to maintain these effects.